The Adamo Road Saddle takes the popular Racing model and adds extra padding for a more cushioned ride. 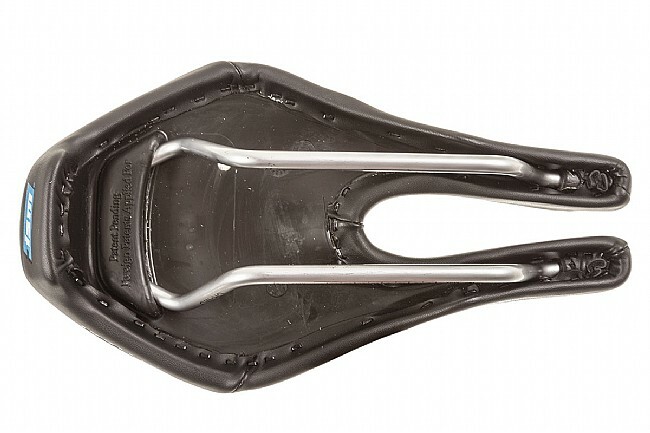 In 1997 Steve Toll was inspired to redesign the bike saddle after a painful ride. The fruit of this effort is Ideal Saddle Modification™ (ISM), which has been dubbed the most comfortable saddle in the world. To achieve this, ISM saddles are nose-less and feature a significant cutout to encourage riders to sit with their weight on their sit bones rather than soft tissue and maximize blood flow to key body parts. Since their creation, these saddles have won Ironmans, Olympic medals, and podiumed at professional road races. 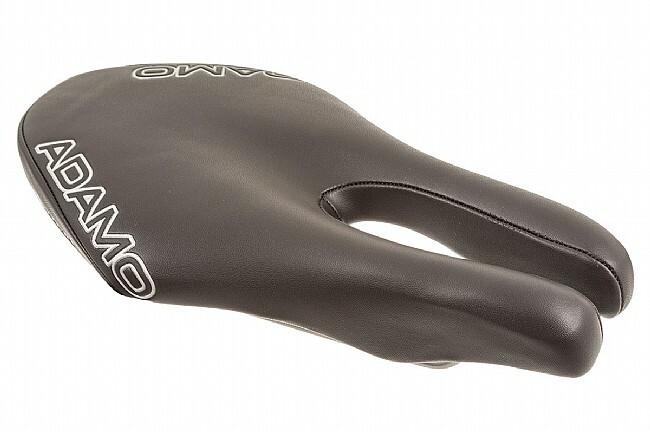 The Adamo Road Saddle starts with ISM's Racing model and adds more foam padding and a wider cutout for improved comfort. This model has proven popular with professional athletes for long distance rides like Ironmans because of its additional padding and improved blood flow due to the larger channel. Cr-mo rails. 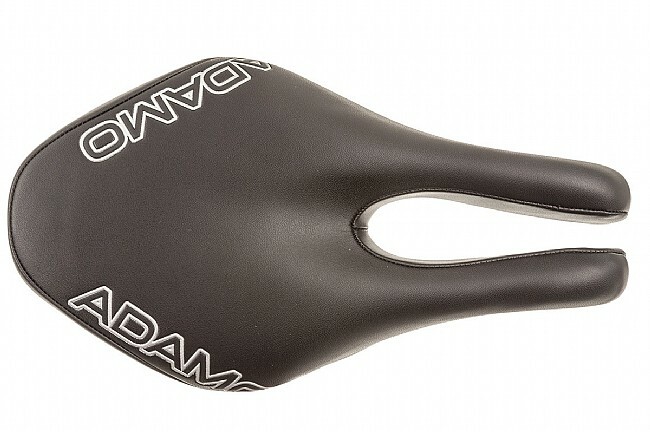 The Adamo Road Saddle is available in Black. 245 x 135mm. Strange looking saddle! Seems to help the problem as advertised. Jury is still out on this one! I bought this saddle at the encouragement of my urologist. So far, (about 15 rides), I am still not used to it. I am still tweaking the position (forwardbackward) to see if I can find a sweet spot where it will feel good. Incidentally, the prostrate problem has gone away. So I am happy about that. Just can't get it to be comfortable. By the way, this is on my road bike and I have been able to ride it about 25-26 miles so far, whereas before I could ride 30-40 miles without discomfort. Comfortable saddle for all types of road cycling. I've ridden for years thinking that some degree of numbness after a long ride was just part of the right of passage. After just a few rides, I believe that is a misconception that I'm glad to be rid of. This isn't a cushy saddle, but it provides the comfort over longer distance that I for one have been missing. I look forward to enjoying a more comfortable riding season and I would recommend this saddle to anyone looking for a more enjoyable ride..
Great saddle design. Really works as advertised. Feels a little bit wide at first but you'll get used to it. Zero pain on long rides.